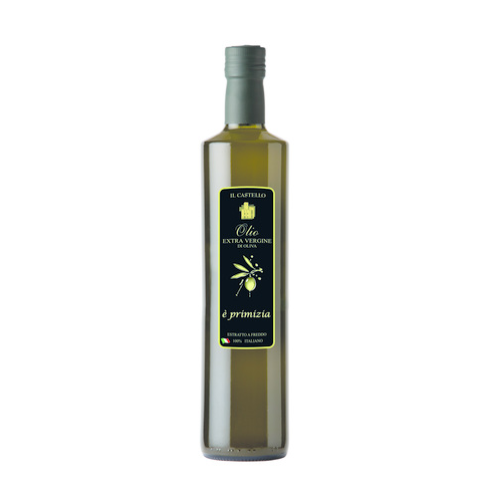 FRANTOIO OLIO IL CASTELLO produces an excellent extra virgin olive oil. 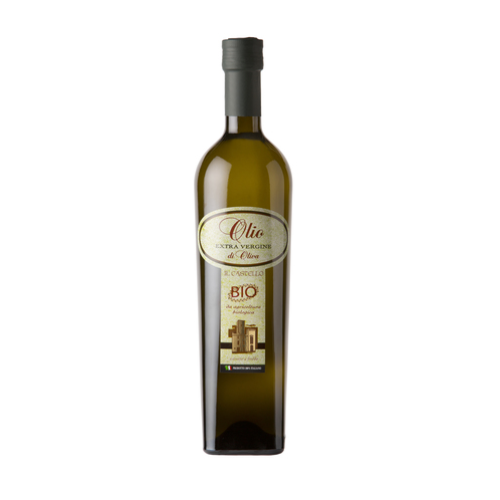 It is obtained exclusively from high quality olives: moraiolo, frantoio, leccino. They are taken to the crusher immediately after harvesting and processed carefully. Il Frantoio was founded in the mid-seventies in order to combine the production of many small local farmers. With passion they carried forward secular traditions linked to the oil world. In recent years the oil mill has started a process of research for absolute excellence. A research using modern techniques while always respecting tradition. In these territories we find the Castle of Sant’Eraclio of Foligno, founded in the fourteenth century by the Trinci or the lords of Foligno. Surrounded by green hills covered with centuries-old olive groves in the area between Trevi and Foligno. In the middle of the DOP Umbria range, Assisi Spoleto hills. 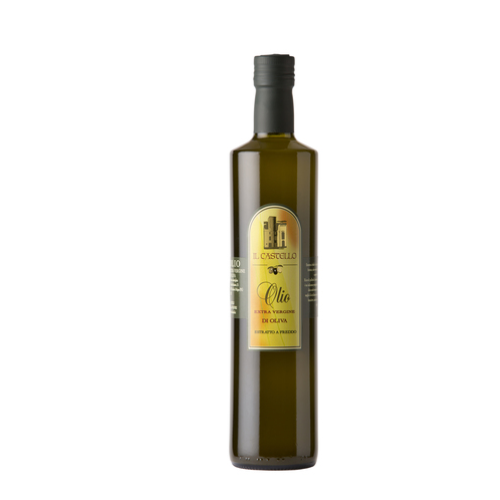 The Frantoio Olio il Castello produces its own oil starting from the olive harvesting that takes place in October and November. The olives are immediately directly milled into the oil mill. It should be noted that the crusher Il Castello is one of the few mills in Umbria that uses the method of cold extraction and biological processing. Through this procedure, a bright green oil with a yellow color is obtained. An oil that is characterized by an intense fruity aroma with a bitter and spicy taste. PAIRING: Raw on bruschetta, salads, soups, grilled meats and vegetables. Pack of 5 lt. 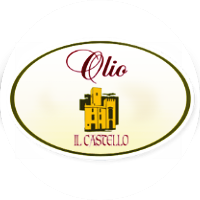 The Olio il Castello spreads in the world the qualities and benefits of the true extra virgin olive oil of Umbria. 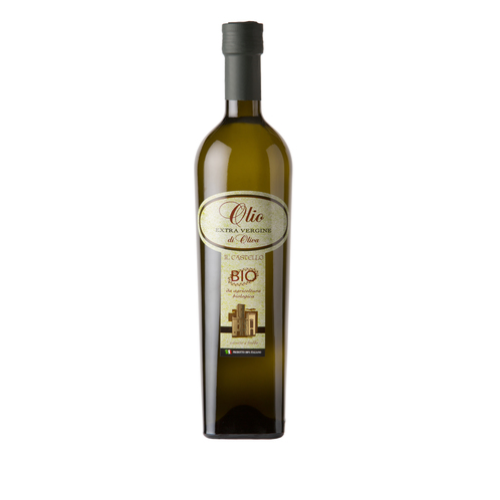 However, this oil mill does not only produce the traditional extra virgin olive oil but also the DOP and the DOP Bio Umbria Colli Assisi-Spoleto. The latter is obtained only from organic olives. Carefully selected olives of the Moraiolo, Frantoio and Leccino varieties. For this reason the sale of organic Spoleto olive oil takes place exclusively in this area. Oleificio Sociale Foligno is pleased to welcome its customers every afternoon but the morning only by appointment.